Warning: As with all potentially lethal weapons, please check with your local and state laws before making any purchases or using this type of knife. Among all hand to hand combat weapons or close quarters weapons, the Karambit Knife is one of the most effective and potentially lethal. 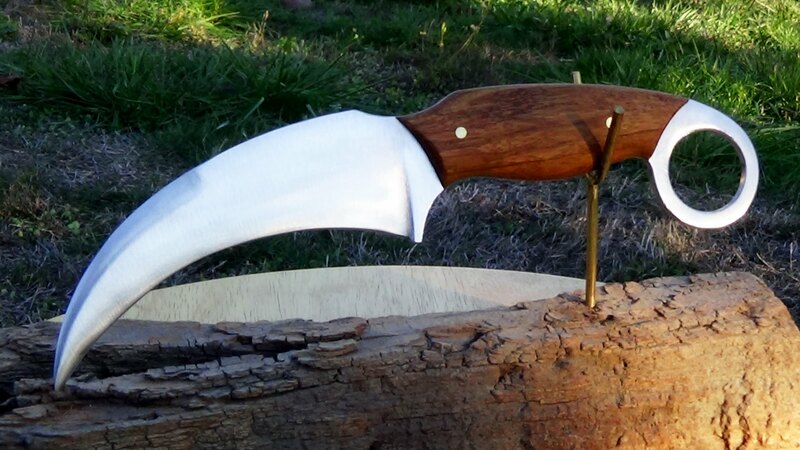 Like most bladed weapons, the Karambit Knife evolved from a farming tool into a squat, razor sharp knife that can be used for self-defense as well as for quickly rendering fish or game dressed and ready for cooking. With practice, whatever you use it for, it is difficult to find a more versatile and easy to use knife, specifically if you are in a survival situation. The next page has a summary of the many, deadly uses for the Karambit Knife as well as how to use it for self-defense purposes should you find yourself in that position. It’s original purpose was to be rather small, discrete and just long enough to slice through muscle groups or catch an artery. Now, with everyone and their mother trying to reinvent this blade we have gotten karambit blades that are several inches long and couldn’t even fit in a pocket.